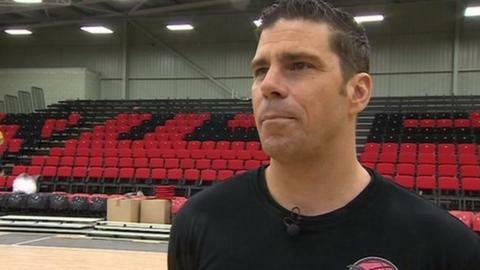 Leicester Riders head coach Rob Paternostro has been named BBL coach of the year for the fourth time. The American, who first won the accolade in 2009, retains the award he won last season, after guiding Leicester to a second successive BBL title as well as BBL Trophy success. Riders could yet seal a treble, with a BBL play-off semi-final against London Lions to play on Friday and Sunday. "This really is about the unselfishness of the team," Paternostro said. "Right from day one, that has been the key for us in what is always a very tough and competitive BBL season from top to bottom. "And we still have some work lying in front of us," he added. Riders are away against London on Friday night with the home leg on Sunday.